Attention Strong Suit squad! I recently just got my Boho Betty bracelets in the mail and I could not be happier, but before I fell in love with the jewelry, the brand captured my heart first. 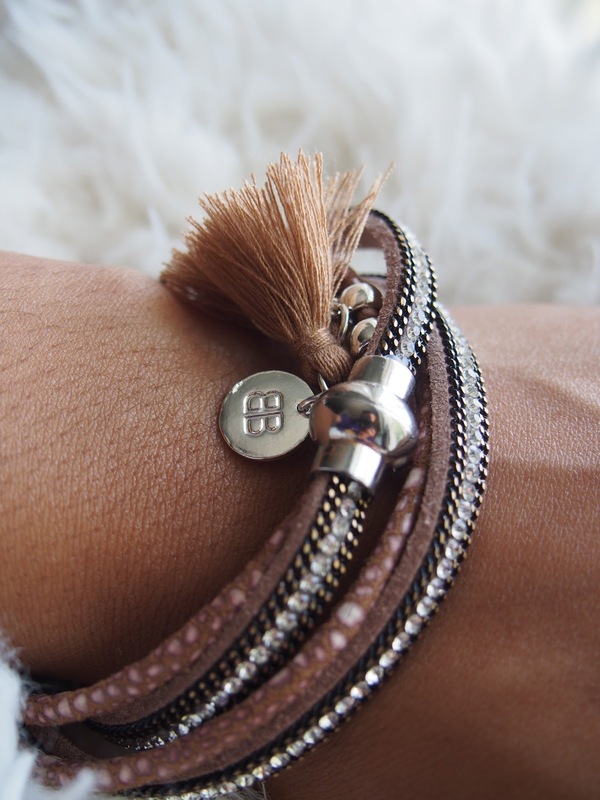 Boho Betty is a UK based accessory brand committed to creating fashionable, high quality, and globally inspired jewelry. 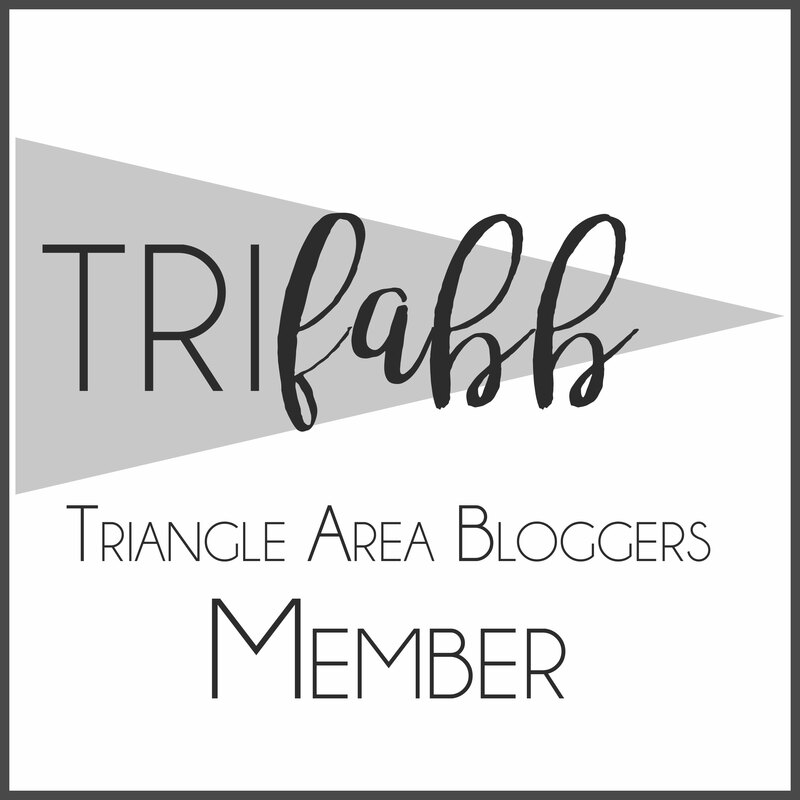 They are affordable (for my budget conscious fashionistas) and ready-to-wear as the special accent to any outfit! The Boho Betty is bold and fashion forward and dares to be different. Their collections gather inspiration from all corners of the world which produces jewelry of a unique style with exotic roots. 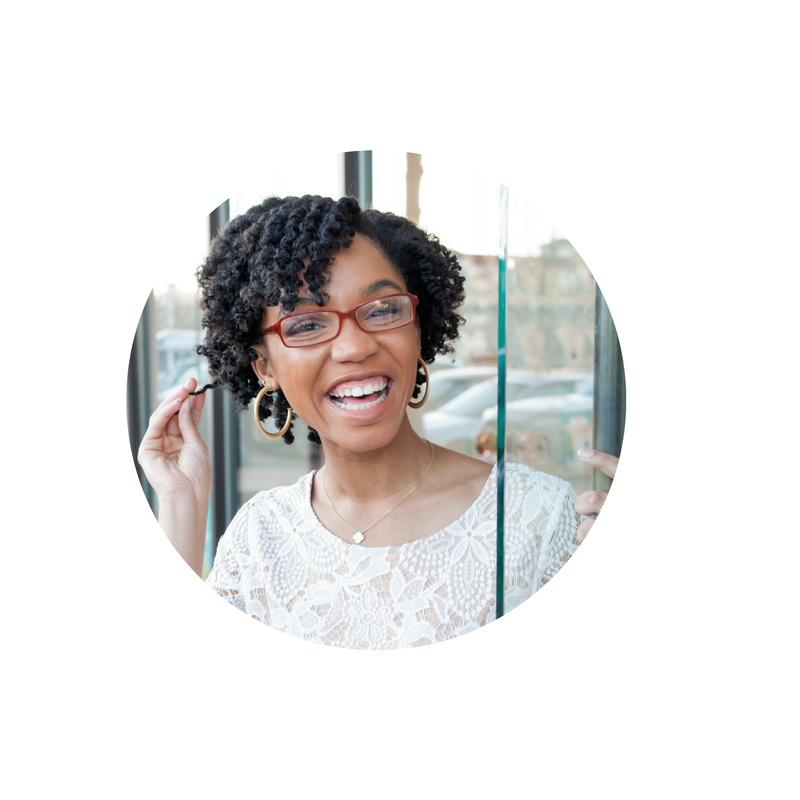 They promise to provide Great Style, Great Quality and Great Value, and I am proud to announce that I am now a Boho Betty brand ambassador! Which means that I get to hook you all up with great jewelry deals either for yourself or your friends and family. All you have to do is use my Boho Betty promo code: STRONG and you can get 20% off of your entire purchase! I try to be awesome for you guys (lol). My announcement actually could not come at a more perfect time because Boho Betty is currently having their summer sale where bracelets are already discounted 50%! Which means you need to go go go and grab some goodies for you and your favorite fashionista! Many of you may remember when I mentioned my jewelry mishap that occurred when I moved out of my dorm this past semester. My two new Boho Betty bracelets (tongue twister alert) are perfect additions to my growing jewelry collection.I purchased the Magnolia Gold Studded Wrap bracelet and the Wutu Faux Suede wrap bracelet. I wanted to try something different compared to my other jewelry that I can just slip on and off my wrist. With a wrap bracelet I can intertwine it in different ways and play with the layers in order to achieve a different look every time! I stuck close to neutral tones with this purchase but I definitely plan on getting a few multicolored bracelets in the near future. For those who are loving the jewelry you see on Boho Betty but remain a little apprehensive about the wrap bracelets I can completely understand. I have extremely small wrists which causes my bracelets to either hang too low on my hand or get stuck halfway up my arm. 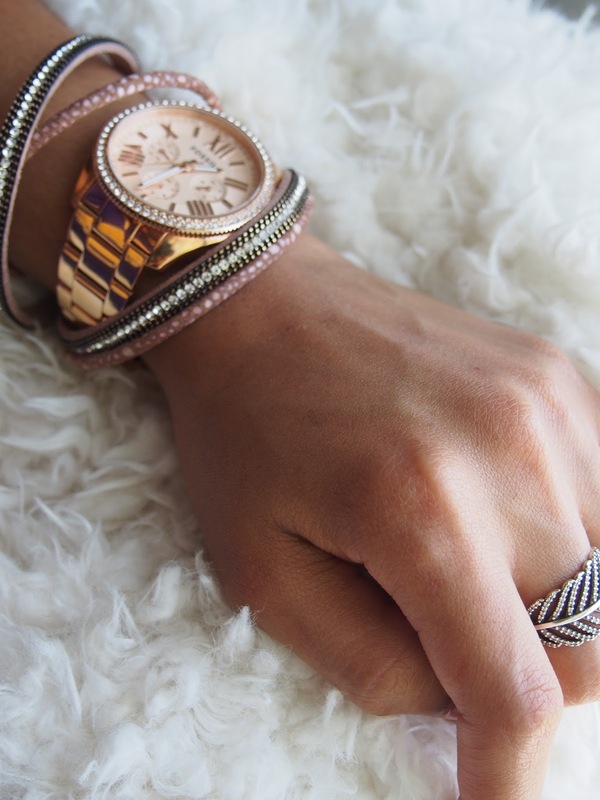 Luckily with wrap bracelets you can layer them with other accessories--like a watch--and play with the looseness to adjust to your preference. I've gotten accustomed to the length of my Pandora bracelet so my Boho Betty bracelets were perfect and I wanted to shared how I styled and layered them with my Fossil watch! 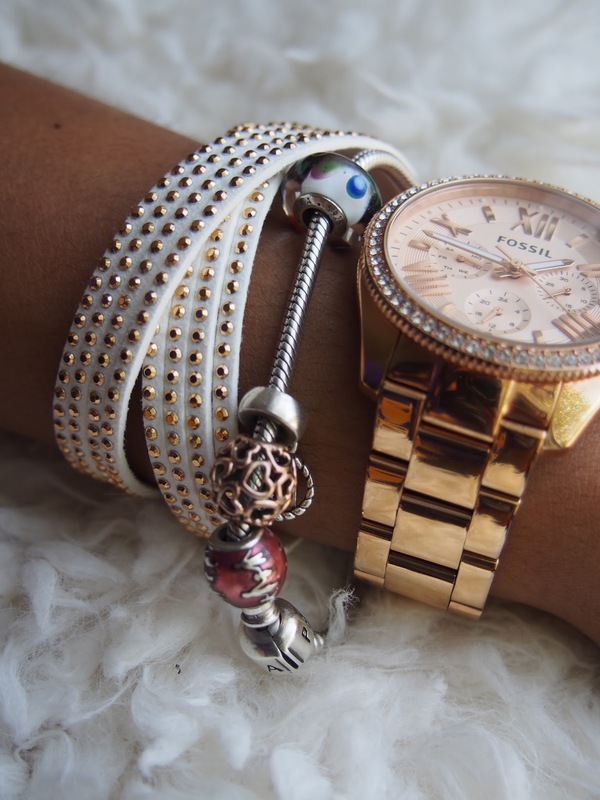 Mixing metals is one of my favorite things to do with my accessories. 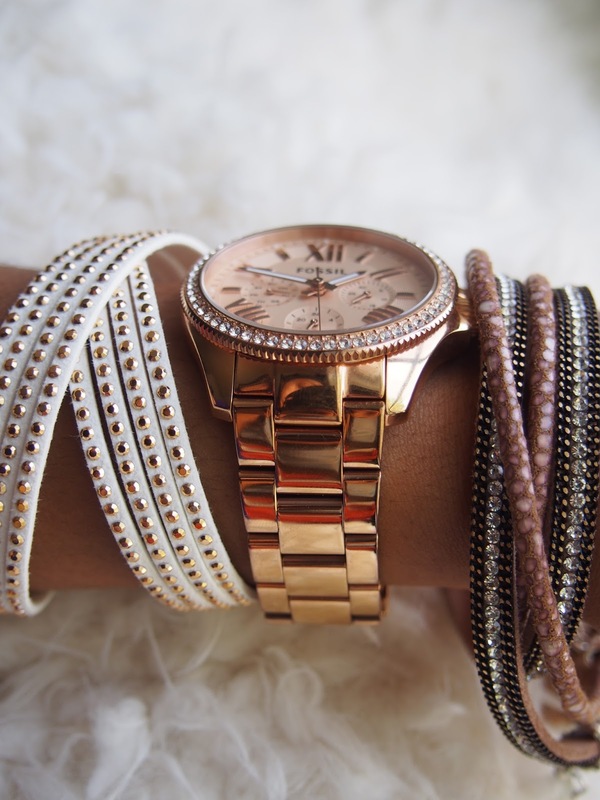 I feel like it adds dimension to your wrist and can pull all the different elements of a look together. I talk about this in my Mixed Metals post with further tips on how you can mix your accessory pieces effectively. I use all of the tips from that post here! Normal: I personally like to separate the pieces of my wrap bracelet apart if I wear it wrapped normally. 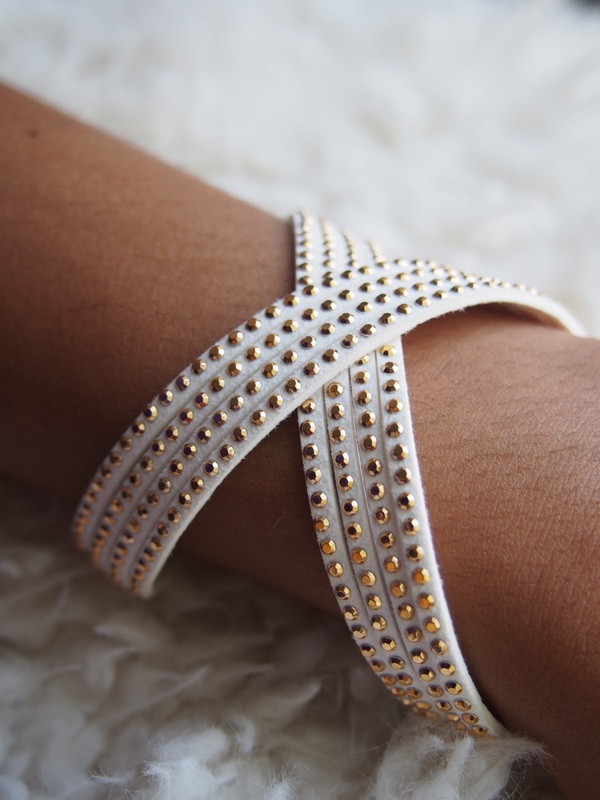 It helps give the bracelet more dimension and it makes more of a statement when it takes up more space on my wrist. Crossed Over: This is where the fun part comes in with layering. As with clothes, layering your accessories a skill that will never fail you in this life of fashion. 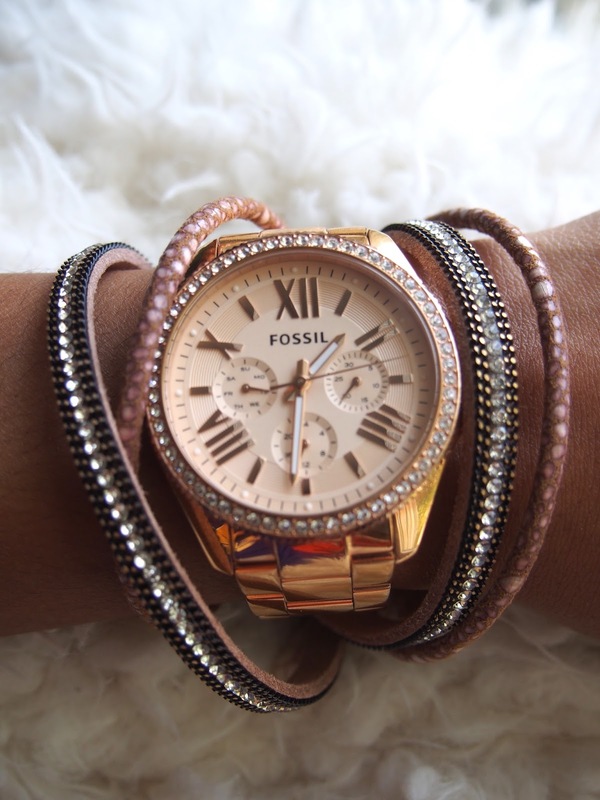 I crossed my Boho Betty bracelet over my Fossil watch to make styling it more seamless and give the impression they were perhaps bought together. 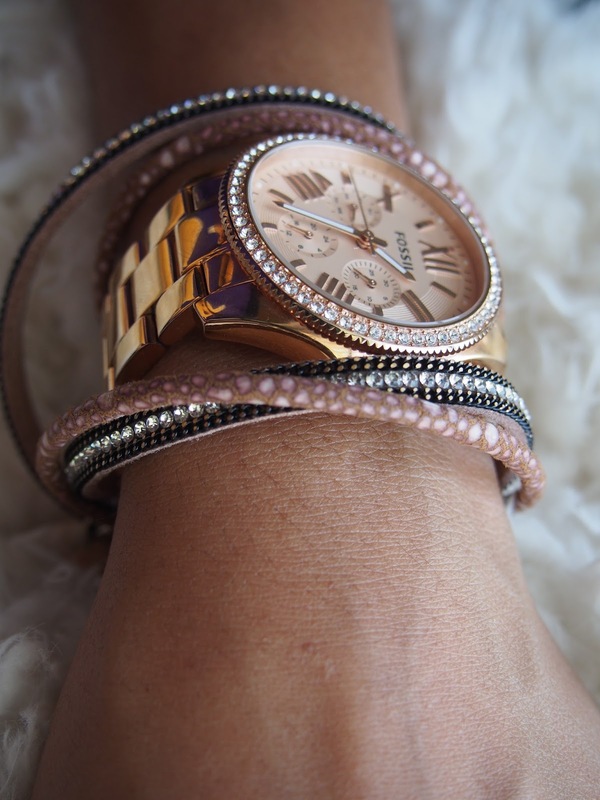 Even though the metals are different it makes my arm candy set up appear harmonious! X Marks the Spot: This has to be one of my favorite ways to wear my wrap bracelets because it automatically draws the eye's attention. 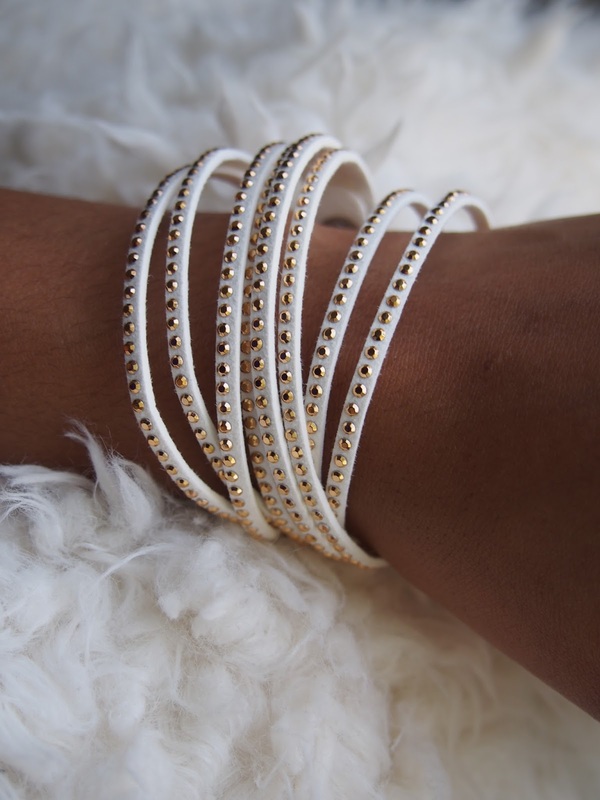 My Magnolia wrap bracelet is pretty simple and can be partnered with an infinite amount of other accessories. Here on its own, it stands alone beautifully and I can honestly see myself wearing this by itself with a pair of simple gold earrings to match. Remember simple doesn't always have to mean boring! I hope I was able to help you guys out once again with some accessory tips! Don't forget that you can get 20% off your purchase with my coupon code STRONG! Catch the 50% off summer sale while you can! Let me know which bracelet you loved the most or which ones you think about buying!